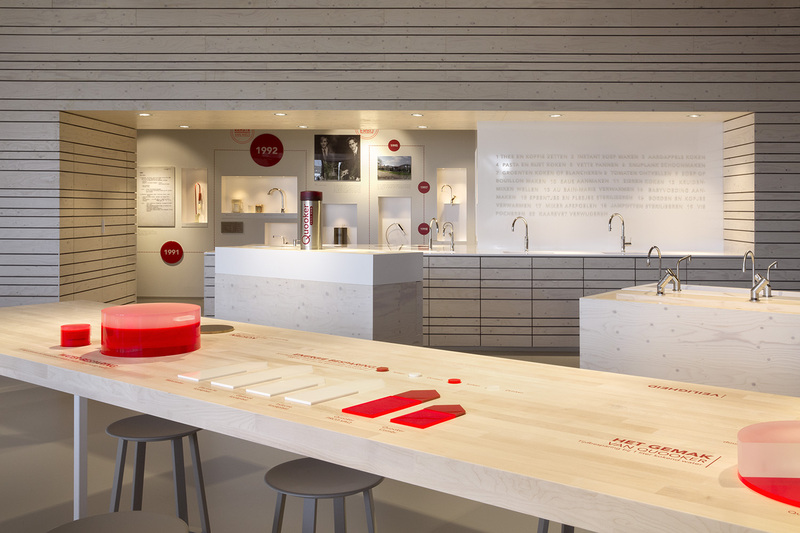 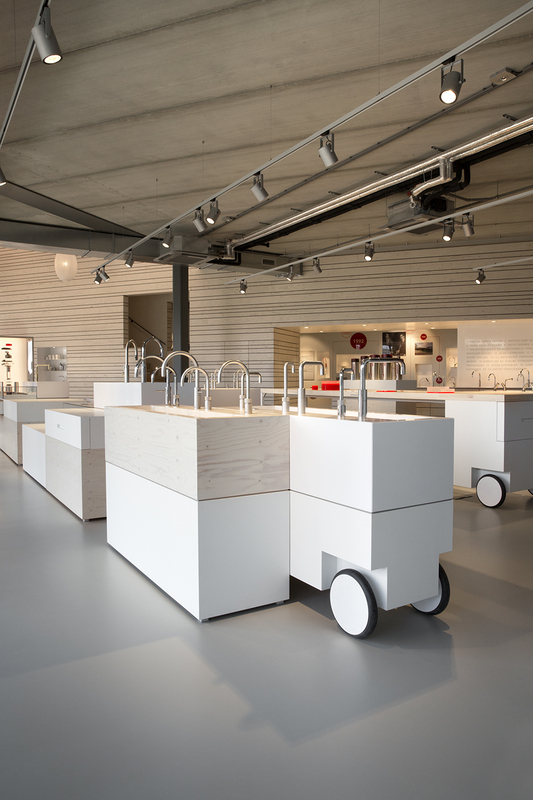 The Quooker Company, creator of the boiling-water tap, is a family run business that operates from Ridderkerk (The Netherlands) since 1975 and serves an international clientele. 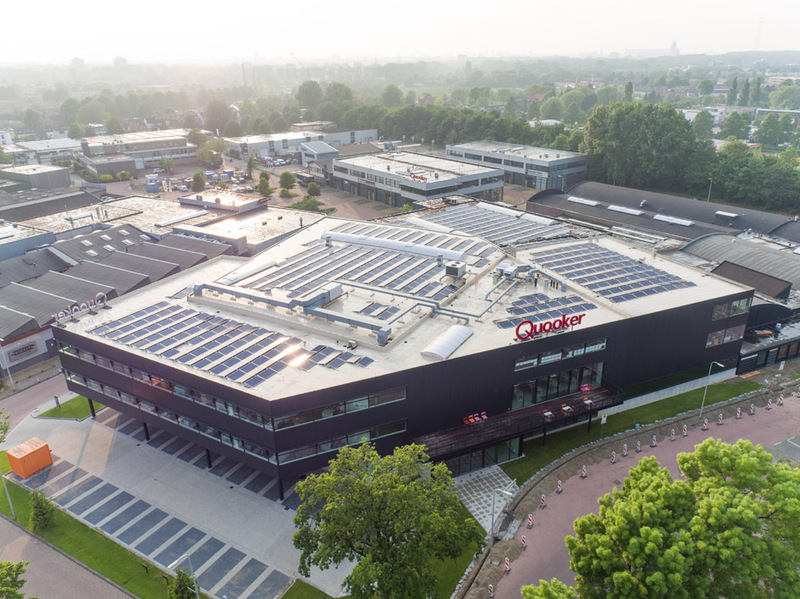 By 2015 the head quarters, housing approximately one hundred employers who work on all details of the production process – from concept development, through sales, communication and assembly, needs serious expansion. 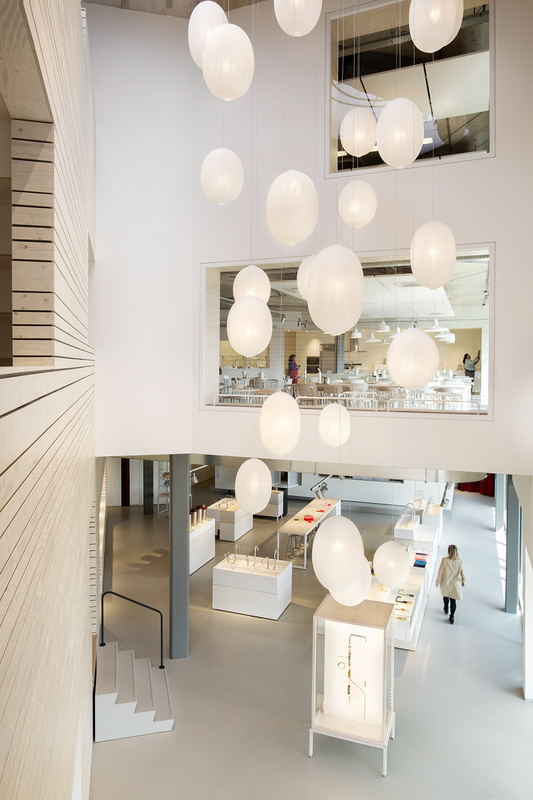 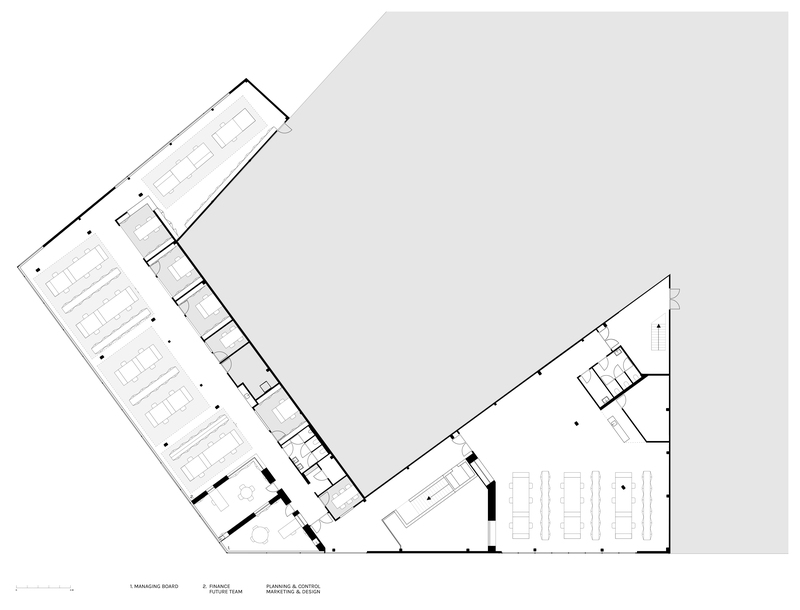 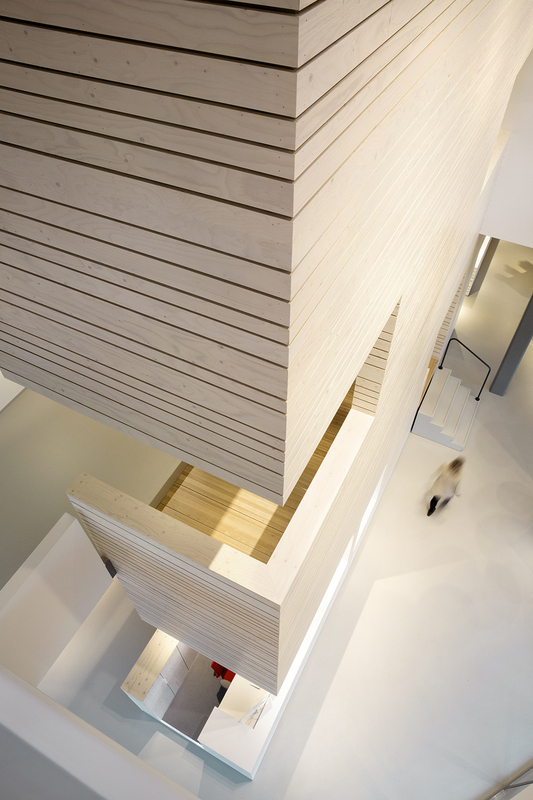 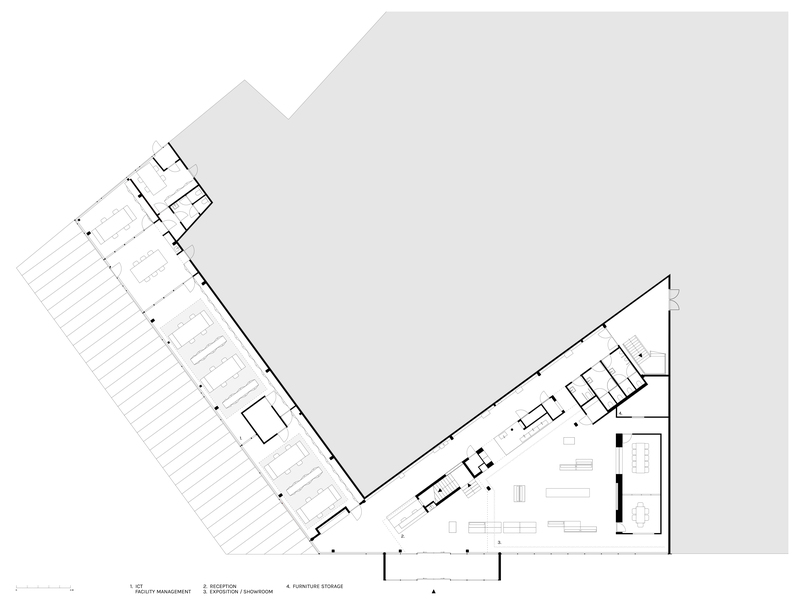 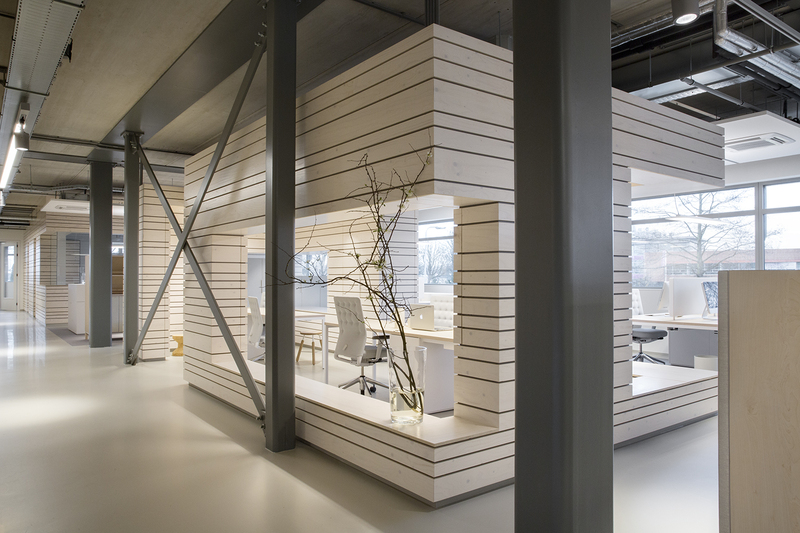 For the new architectural wing INA MATT is asked to develop a fitting fresh interior design. 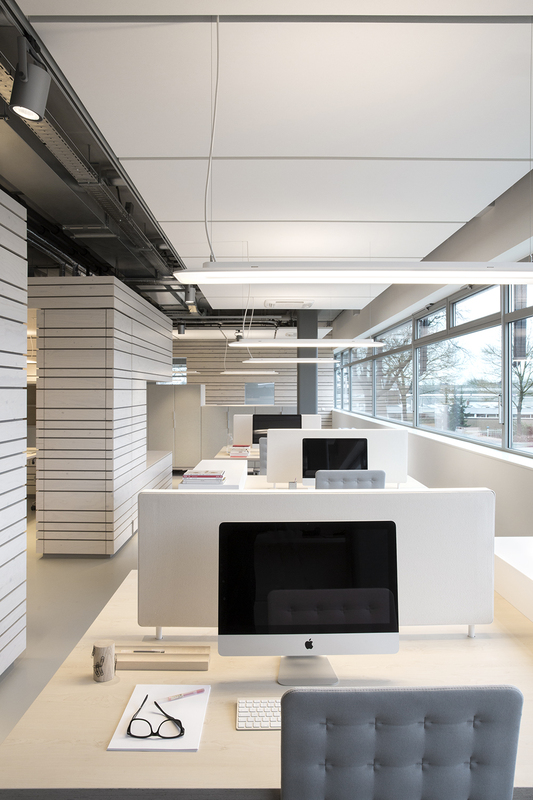 The architectural foundation is an open and high area, attractive for its airy appearance, challenging for it’s acoustic effects. 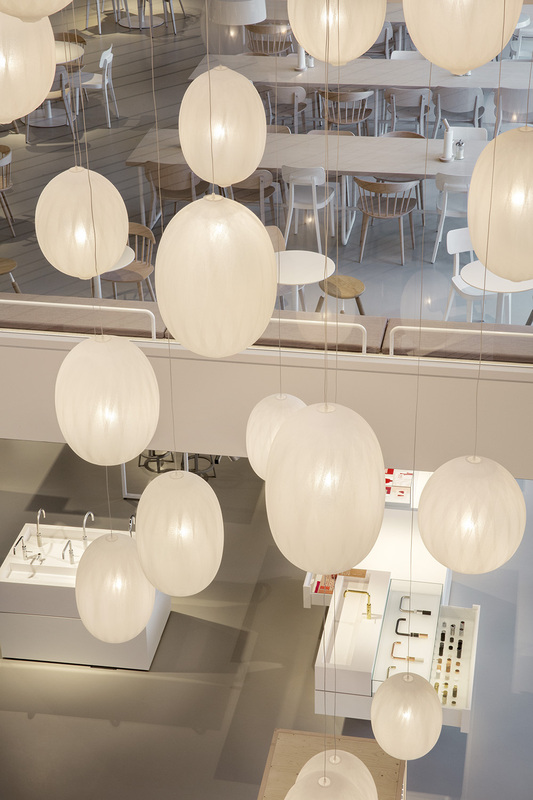 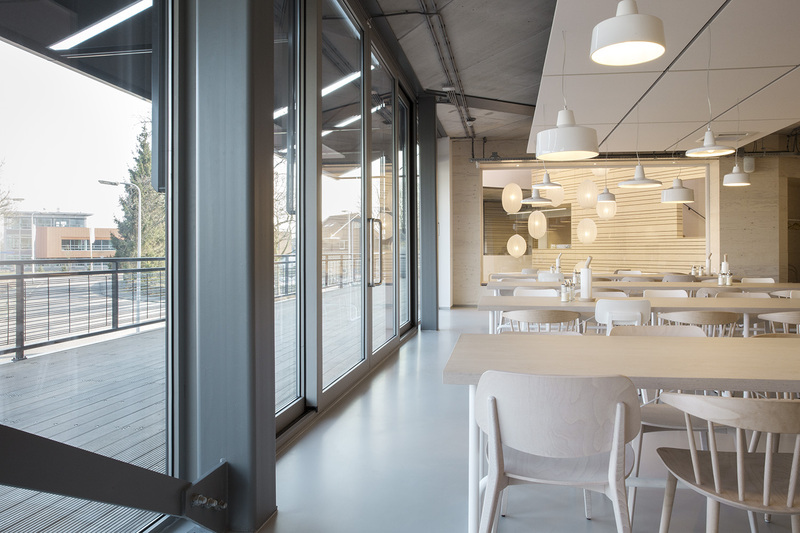 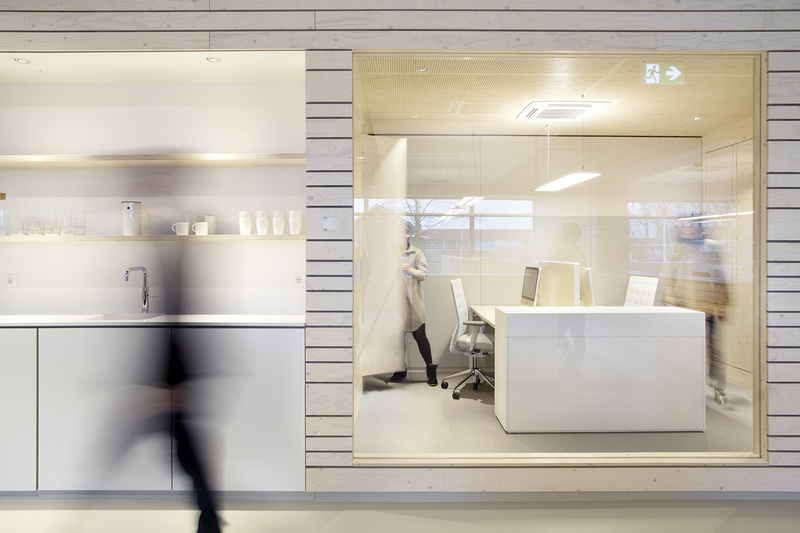 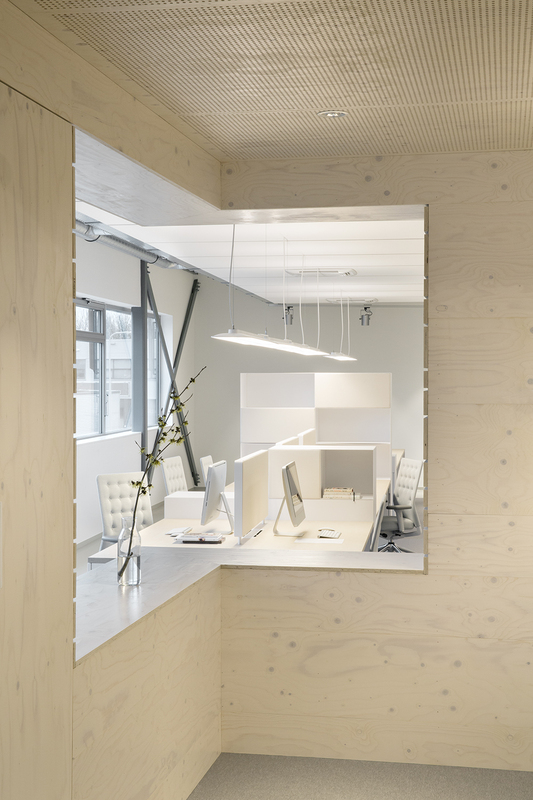 We aim to keep the workspace as clear as possible, creating cubicles with light and neutral toned materials of layered wood and glass, leaving optical see-through planes and guaranteeing privacy and intimacy via opacity and levelling. 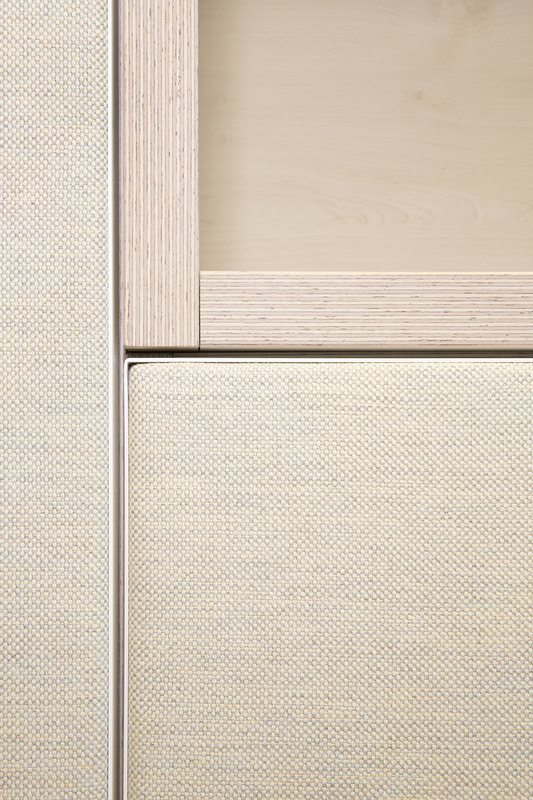 With Lensvelt Design we develop desk furniture pieces and closet walls lined with textile cushioning that serve as divider of space and sound absorbers. 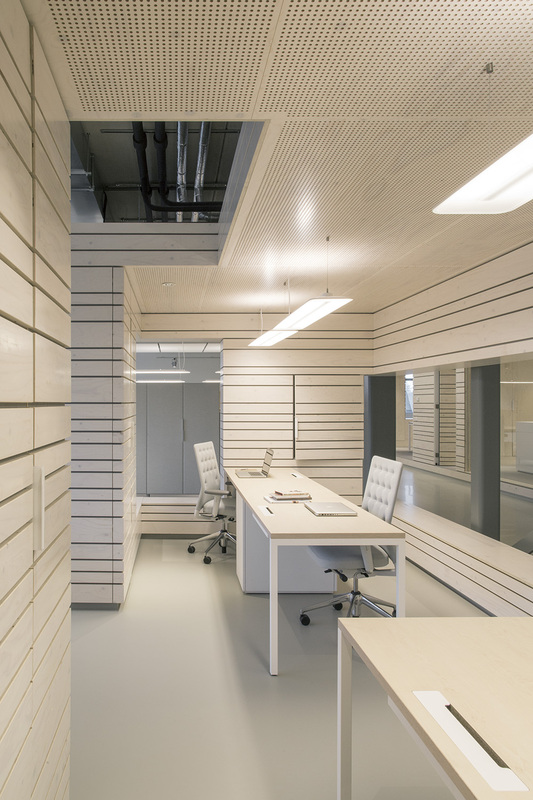 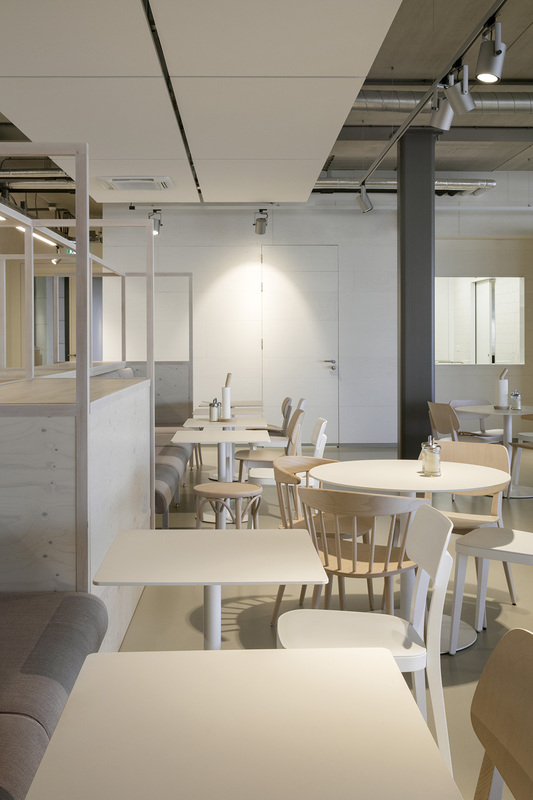 Each cubicle has generous storage space, with extendable desk drawers and acoustic building blocks leaving space for each employer to adapt the environment to their personal needs. 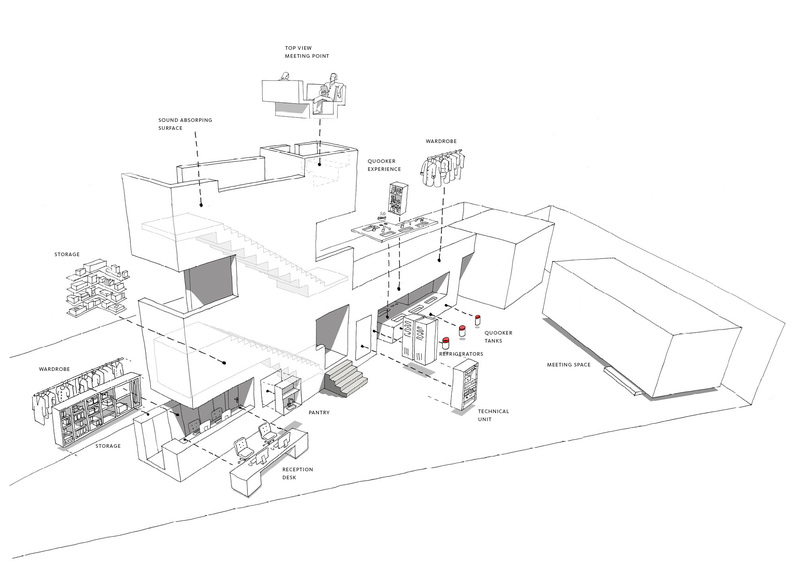 The staircase element runs next to the entrance wall and creates access to the levels of height in the building contains storage solutions with pantry and meeting scattered through. 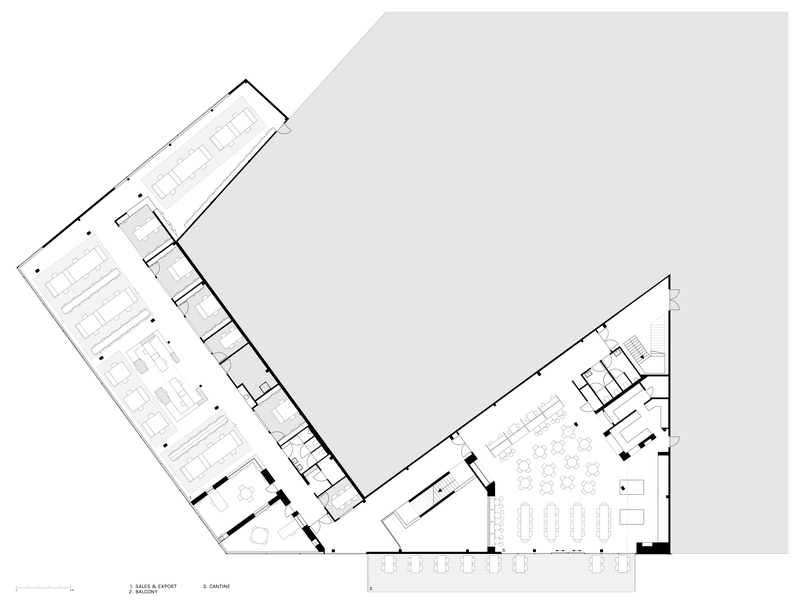 A central court harbours the exhibition and display area. 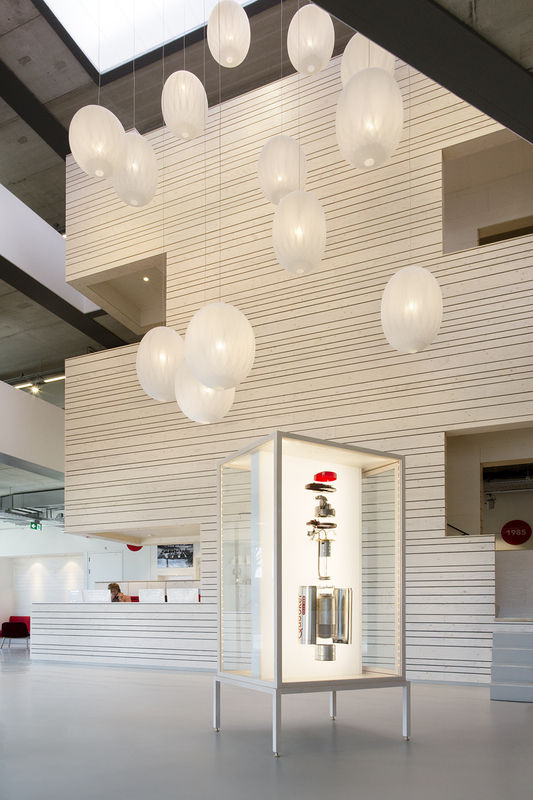 Illustrative detail is the storytelling wall you encounter when walking into the building, which tells the history of the family business and present of the family building, leaving the future open. 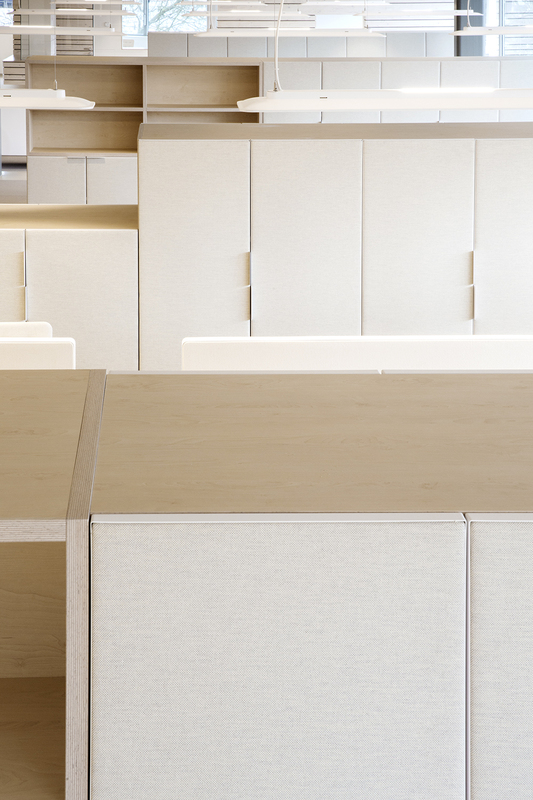 All design is directed towards an open, intimate and noise-free environment, resounding with the smart philosophy of the client and resulting in a space that is elegant, effective and leaves ample space for growth. 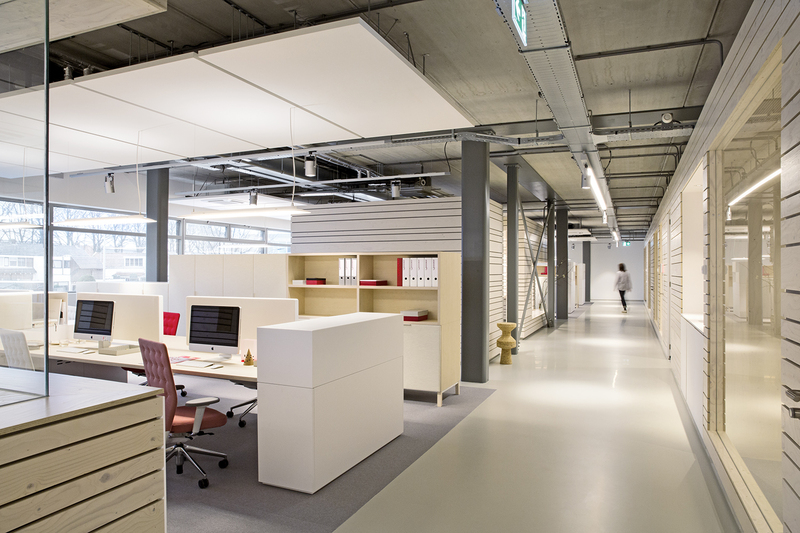 New offices opened in Manchester (UK), Düsseldorf (Germany), Malle (Belgium) and Dubai (VAE).